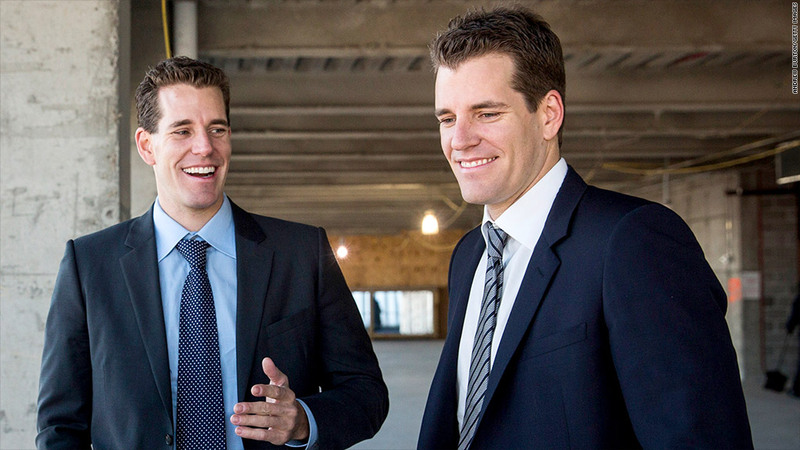 The Winklevoss twins are going to space and paying for it with Bitcoins. If space travel and virtual currency don't take off, it won't be because the Winklevoss twins didn't try. The brothers, known for their legal battle over the creation of Facebook (FB), are going to space and paying for it with Bitcoins. Take that, Mark Zuckerberg. The twins bought tickets, valued at $250,000 each, for a ride to space with Virgin Galactic. That's about 375 Bitcoins, at Wednesday's price. They think of their purchase "as seed capital" supporting new technologies they have high hopes for. Tyler Winklevoss suggested Wednesday in a blog post that Virgin Galactic "may forever change the way we travel" and that Bitcoin "may forever change the way we transact." Efforts to get direct comment from the Winklevosses were not immediately successful. This isn't the first we're hearing from the Winklevoss twins, now investors and co-principals at Winklevoss Capital, about the potential of Bitcoin. Most recently, they launched their own Bitcoin price tracker they're calling Winkdex, which will provide the price for their own Bitcoin-related investment fund. The virtual currency is extremely volatile and was created anonymously in 2010 as a form of money that exists only online. It's not regulated by any central authority, and concerns about its riskiness were raised when leading exchange Mt. Gox filed for bankruptcy. Virgin Galactic founder Richard Branson is also a fan of Bitcoin. He announced in November that the company would allow customers to pay for their space flights with the virtual currency because, he said, a lot of future astronauts are tech-minded people -- like those who are using Bitcoin. No Virgin Galactic space flight has taken off yet, but people are booking their spots. The company has said that its first commercial flight will be made by the second half of this year, with Branson and his family on board. The Winklevoss brothers expect to be Virgin Galactic astronauts number 700 and 701.